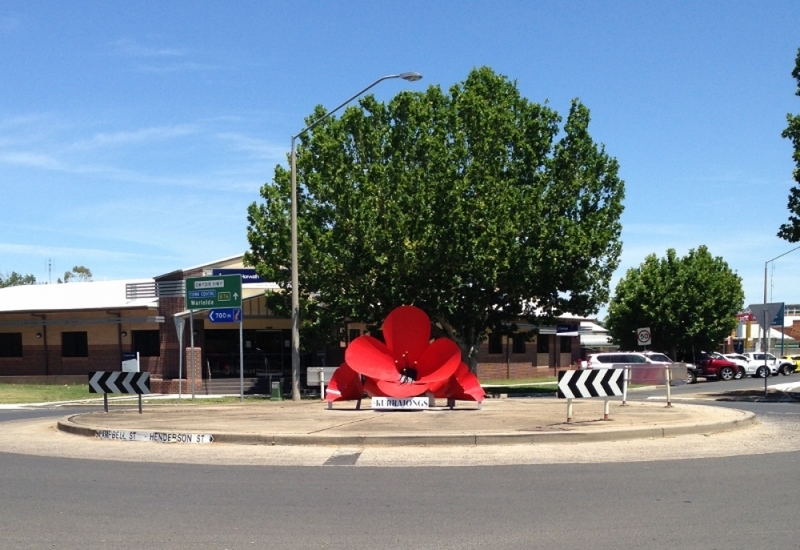 This morning Inverell Shire Council staff installed the Kurrajong Committee's remembrance poppy sculpture at the Henderson/Otho Street roundabout. 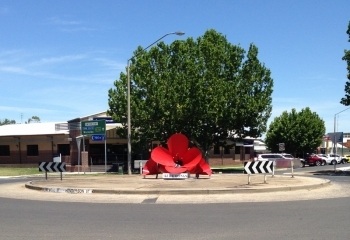 The sculpture was inspired by a similar one made in Melbourne for Anzac Day 2015 however ours has four small poppies and one large one, to remind us of the one in five men who did not return home after World War 1. The scultpure will remain in place until after the Kurrajong Re-enactment March on 10 January 2016.